Oops - we don't appear to have a video for the fi-6140Z. The transaction went well. I had identified the product I wanted and tradescanners then sourced the software for me. The Scanners have been a great investment – The compatibility with Xpress (our software package) is perfect, we have just finished processing our local household registration Canvass forms for 2012/2013 (59,000) and scanning these onto the system in a time sensitive manner has been so much easier with the new fi-6140Z. All ok so far. Very quick scanning. Occasional paper jam where sheets have previously been stapled together. Too early to tell yet really but have used Fujitsu scanners before and they have been reliable. 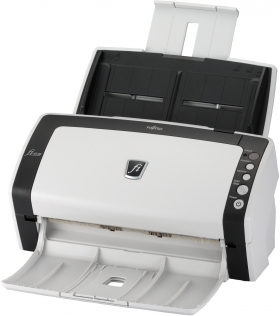 In addition to being the smallest scanner in its class, the fi-6140 is able to scan an impressive 60 pages or 120 images per-minute in monochrome (A4, 200dpi) as well as 40 pages or 80 images per-minute in color (A4, 200 / 300dpi). Furthermore, its ability to continuously scan 50 page mixed batch documents containing paper of different weight, quality and sizes enables the fi-6140 efficiently digitize large volumes of paper documents. The fi-6140 is the first business scanner in its class to inherit highly regarded intelligent "fi-Series" automatic features from its higher end siblings. Such features facilitate worry free mixed batch scanning of documents containing paper of different weights, quality and sizes. Paper protection function - This function puts users at ease with its ability to protect valuable documents by immediately stopping the scanning process when it recognizes that a jam is about to occur. 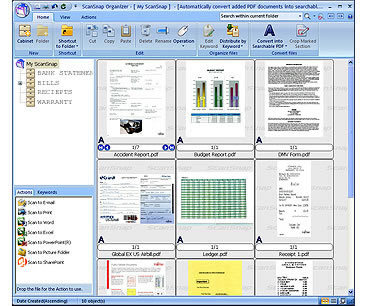 Intelligent multifeed function - The intelligent multifeed function simplifies pre-scanning preparation and improves efficiency by ignoring documents that tend to trigger false multifeed alerts, such as photo and sticky note attached documents. Speedy "auto-color recognition" , "auto-size recognition" and "auto-deskew" functionality - The fi-6140 is the first "dedicated image processing LSI" armed scanner in its class to offer such highly valued automatic functions. As a result, the fi-6140 brings about dramatic digitizing efficiencies through fast scanning and simultaneous high speed image processing. In addition to being able to scan embossed cards*, the fi-6140 is able to scan up to 3 plastic cards at a time (up to 1.4mm thick) in order to meet a wide variety of business needs. Comes bundled with the "automatic job separation" function armed ScandAll PRO Ver1.5 image capture software The fi-6140 supports barcode and patchcode reading functionality which enables it to simultaneously scan and automatically separate different jobs with its automatic job separation function. The result is improved digitization efficiency. Create and reliably share PDF documents. Combine files from multiple applications in a single PDF file. Easily create fillable PDF forms to collect data electronically. And apply basic document security features. Keep all your scans neatly organized and easily accessible with ScanSnap Organizer. 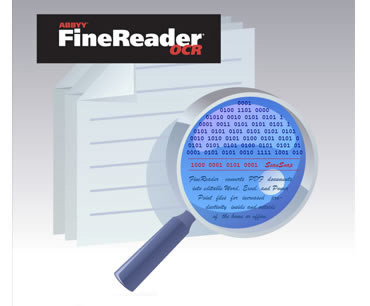 View and edit scans, create filing cabinets, perform searches and more. 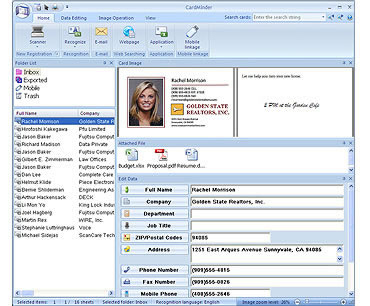 With CardMinderï¿½ 4.1 for Windows adding and managing contact information is a breeze. Simply place the card in the scanner and push the button. CardMinderï¿½ 4.1 captures the business card and places the information into editable fields. Foriegn language card? No problem. CardMinderï¿½ 4.1 recognizes 8 different languages and can export to Outlook, Excel and other contact managers. This popular OCR (optical character recognition) software lets you scan documents with machine print directly to Microsoftï¿½ Word, Excelï¿½ and PowerPointï¿½. Scan to PowerPointï¿½ available for PC (Windows) only. 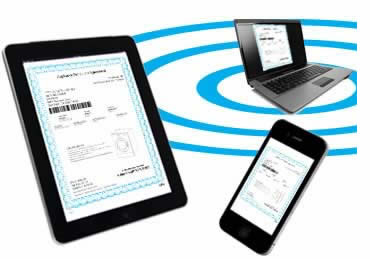 With the free ScanSnap Connect app, you can link* ScanSnap to an iPadï¿½ or iPhoneï¿½ for viewing on the go. Like all current ScanSnap models, the S1500 can link to cloud services Evernote, Google Docsï¿½, Salesforce CRM and SharePoint Online (for Windowsï¿½). 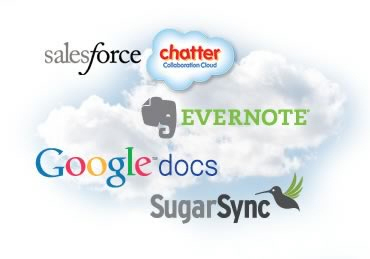 It also brings two additional cloud syncing functions: Scan to SugarSync and Scan to Salesforce Chatter.